The Washington Nationals may not be missing Bryce Harper. Alright, they probably do, but Anthony Rendon is definitely helping them forget. The third baseman has been one of the hottest hitters in baseball and just added to his incredible streak with a blast to give the Nationals a lead in the third inning. You always forget the loss of a superstar when you have another one on your roster. If there was ever any thought that the Nationals shouldn't pay Rendon this offseason, that simple idea is long gone. The team avoided arbitration, but does not have a deal in place for next season. After the way he's started the year, the team can't let him walk next season, not if they plan on staying afloat and competing for an NL East title. Rendon is batting over .430 with 5 home runs and 15 RBI, while being the hottest hitter on the team. 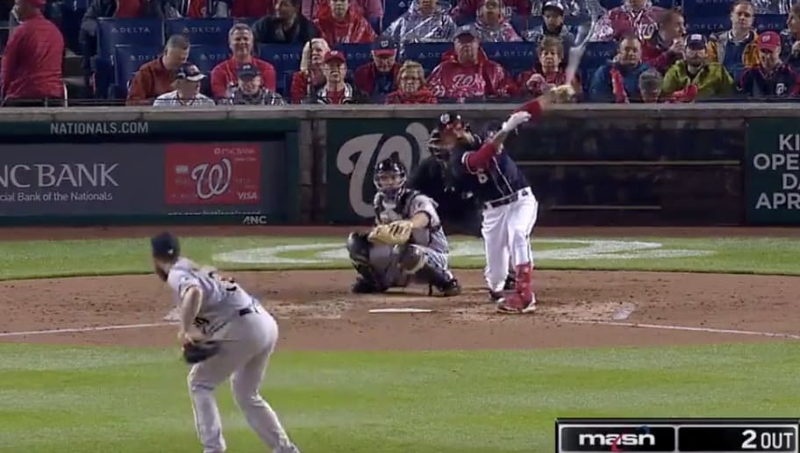 Anthony Rendon hit his 5th HR of 2019. Anthony Rendon extended his hitting streak to 11 G.
Anthony Rendon extended his XBH streak to 9 G.
That isn't exactly a hot take at this point. If you call him the hottest third baseman in baseball, no one should blink an eye.